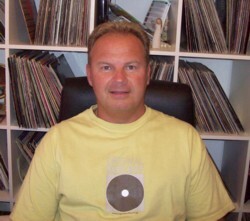 Join Ginger Tony For "Jump Start Show"
Playlist…26.11.2010…..Soulful Jazzy House Mix ! Part2 – Mid-Tempo Heaven Mix ! Part2 – Soul & Boogie Mix! 2 HOURS OF PURE SOULFUL JAZZY HOUSE GROOVES!! Playlist…23.7.10Part1. Soulful Jazzy House Mix! 2HOURS OF PURE SOULFUL JAZZY HOUSE GROOVES!! Part2 – Mid-Tempo Heaven Mix! 2 HOURS OF PURE SOULFUL JAZZY HOUSE GROOVES!!! Playlist…..18.6.10. Soulful Jazzy House Mix! Playlist…..4.6.10.Part1 Soulful Jazzy House Mix! 2 HOURS OF PURE SOULFUL, JAZZY HOUSE GROOVES!! Playlist..6th May 2010 Part1 Soulful, Jazzy House Mix! 2HOURS OF SOULFUL JAZZY & DEEP HOUSE GROOVES!! 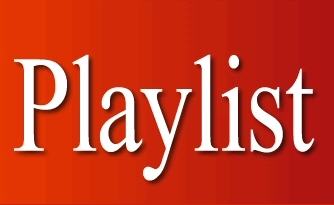 Playlist Thursday.9.4.10 Part1 – Soulful Jazzy House Mix! Gabrielle Hurtt - Under The Influence. PART1:: Soulful, Jazzy House mix!! THE MIDNIGHT MIX..THIS WEEK...2HOURS OF PURE SOULFUL JAZZY HOUSE GROOVES!!! THE MIDNIGHT MIX…25.2.10. PART 1.SOULFUL JAZZY HOUSE MIX!! THE MIDNIGHT MIX..12.2.10.Soulful Jazzy House Mix!! MIDNIGHT MIX - 5.2.10 - SOULFUL, JAZZY HOUSE MIX!! Midnight Mix - 28.1.10 - SOULFUL JAZZY HOUSE MIX! Midnight Mix - 21.1.10.Part 1 - Soulful Jazzy House.